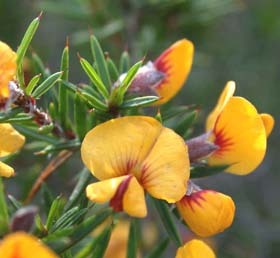 Pultenaea juniperina (prickly beauty) is a widespread and common native shrub. 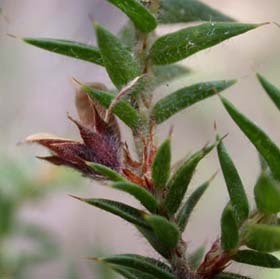 It has sharp, upturned leaves that are often somewhat hairy. It grows in wet and dry sclerophyll forests.